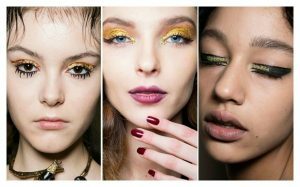 We saw a myriad of quirky makeup trends, from the glitter magic to unicorn- and mermaid-inspired makeup looks, in 2016 – and 2017 is shaping up to have similar or even quirkier beauty trends. Yet, the magic won’t just be in a form of a single item, it’ll be in collections. Here, we listed down some of the quirky beauty trends that’ll help you unleash your inner unicorn and mermaid this year. Because really, what’s better than that? Ombré and two-toned lips were all the rage in 2016. But in 2017, it looks like patterned pouts are going to be the focal point of our faces. This lip look often features mermaid themes, but we wouldn’t be surprised if some brave and gutsy makeup aficionados start rocking some unique patterns this year. Wearing bold lip colours is no longer new, but they’ll definitely go big this year. 2017 looks like the year where blue, black, green, orange, purple and yellow lip colours will truly become mainstream – and while becoming “mainstream” doesn’t sound that cool, it does mean that you’ll experienced lesser wicked side eyes from strangers whenever you rock this look. Your eyeliner would be the best place to start if you want to add a hint of quirkiness on your makeup look this year. We already started seeing helix, unicorn and candy cane eyeliner designs, but this trend is just warming up. Don’t worry if you’re not confident with your artistic skills, you can always invest in a bright-coloured liner or a good glitter. It was only a few years ago that facial tattoos were a big no-no. But today, we’re starting to retire our stale attitude towards this beauty trend for 2017 is the year where you’ll see a surge in the temporary face tattoo trend. Perhaps you’re already seeing cute temporary tattoos paired with eye makeup tutorials, and is re-evaluating your own beliefs on this beauty look. There’s just something pampering every time you use facial masks – and we’re quite sure that 2017 is going to give us with ever weirder face masks. From the alien skin to animal faces to peel-off sheets to slippery goo, it’s happening and there’s no sign that this trend train is stopping anytime soon. Whatever fad may show up, remember that the most important trend of 2017 is expressing your personal style and being yourself sans paying attention to the outdated convention and rules. 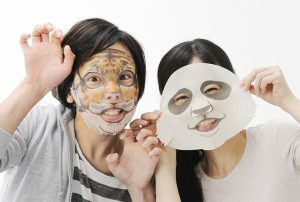 So start rocking and wowing the people around you now with the help of any of the aforementioned makeup trends.